Liverpool will look to continue its solid form when it travels to Southampton on Sunday for a surprisingly key Premier League matchup. Since its last loss, on Dec. 14 against Manchester United, Liverpool has captured 21 points out of a possible 27, pulling the Reds to within four points of a coveted top four spot in the table. Not only will the match see the return of Adam Lallana, Dejan Lovren and Rickie Lambert to St. Mary’s, but Southampton is currently sitting in fourth place, making Sunday’s match so enticing. Liverpool has found its form thanks to manager Brendan Rodgers’ efforts to continually fine tune the lineup until finally hitting on a successful 3-4-3 formation. He also wasn’t afraid to put Jordon Ibe onto the pitch in key situations. It’s taken time, but the club has finally started to more closely resemble last year’s squad that challenged for the league title. 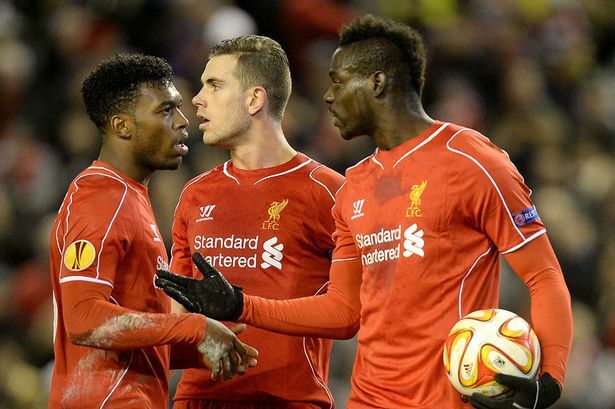 The one player that continues to elude Rodgers’ magic touch, however, is Mario Balotelli. It looked in recent weeks as if things were finally looking up for the mercurial Italian, especially after his match-winning goal against Tottenham Hotspur and assist on Adam Lallana’s goal against Crystal Palace in the FA Cup fifth round, but then came Thursday’s game against Besiktas. Balotelli was criticized for forcing his way into taking a penalty kick over game captain Jordan Henderson, a breach of etiquette at the very least, but because it was Balotelli and the team had a few days off, the situation blew up over the past few days. Now that things have calmed down a bit, the bigger issue remains whether or not Balotelli can buy into what Rodgers and the team are selling. While Rodgers was willing to chalk up the penalty kick situation as “more of a drama than what it actually was” he did challenge Balotelli to do more with his opportunities when he is on the pitch. “We need to ensure that whatever level of the game we are playing at we have everyone working as a team and once we got the penalty he stops working. So he needs to improve on that facet of his game to play in his position, rather than standing on the side of the football field,” the manager told The Guardian. “(Mario) has contributed against Besiktas, he has got the penalty and scored the goal but that is what he is paid to do. He needs to keep that efficiency in his game and show that he can affect the team whether he is asked to play from the bench or from the start. Sunday’s match with Southampton will be Liverpool’s 42nd of the season after only playing 43 games all of last year. After this weekend they will have 13 league games remaining, and are still currently alive in both the FA Cup and the Europa League tournaments. If the Reds are going to duplicate last season’s strong finish they will need everyone working in the same direction, and that includes Balotelli. It may be time for the player who once flashed a T-shirt reading “Why always me?” to look in the mirror to find out the answer to that question.